After a few months' investigation, Shkodra police arrested the citizen Bardhok Planaj, 44, resident in the village of Shtoj i Vjetër, Shkodër. To him is imposed the security measures of "imprisonment" for some criminal offenses. The Police in cooperation with the Shkodra Prosecution made it possible to document the criminal activity of Bardhok Planaj. He had been building a 10-story building without first obtaining a legal permit by the relevant authorities. From the collected data it is noted that this palace was financed by the money provided by criminal resources. 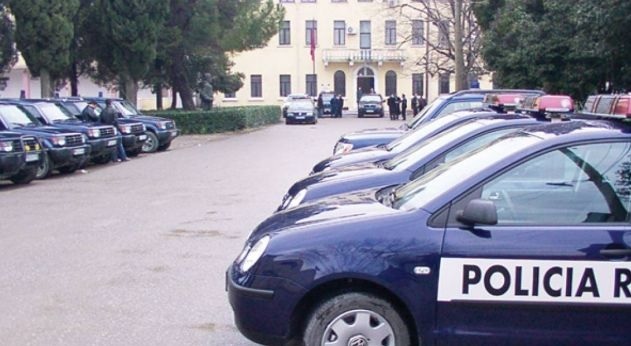 "From the structures of the Local Police Directorate of Shkodra, after a few months of investigation is arrested the citizen: Bardhok Planaj, 44, resident in the village of Shtoj i Vjetër, Shkodër. His arrest was made after an arrest warrant issued by Shkodra Prosecution on 03.12.2018 for the criminal ofenses "Falsifying Seals, Stamps or Forms","Unauthorized Construction", as provided for in Articles 287, 190 and 199 / a / 3 of the Criminal Code. Police, in cooperation with the Prosecutor's Office of the Shkodra Judicial District, after a few months investigation made it possible to document the criminal activity of the citizen Bardhok Planaj, who for several years started building for the purpose of obtaining a 10-floor facility without the relevant permits issued by the competent bodies. Oculus News sources suggest the 10-storey building located in the city of Shkodra in his possession, is worth of 2 million euros.